Renovated machiya-style townhouse fun in Kyoto! Eat, drink, and have fun in machiya! The best 4 restaurants for machiya townhouse-style dining in Kyoto! When walking on the historic streets of Kyoto, you may notice that the houses look a bit different from back home. That is because they’re traditional Kyoto townhouses called machiya! For many years, machiya were torn down from the way of new shops and hotels, but recently you can find many restaurants located in renovated machiya townhouses. So you can enjoy the historic machiya-feel, the inner garden, the full Kyoto-experience. 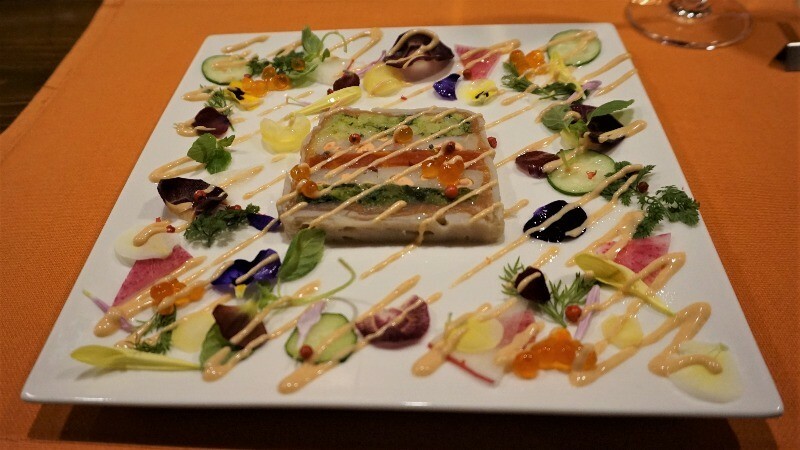 So enjoy great food, great scenery, and luxury in a machiya! 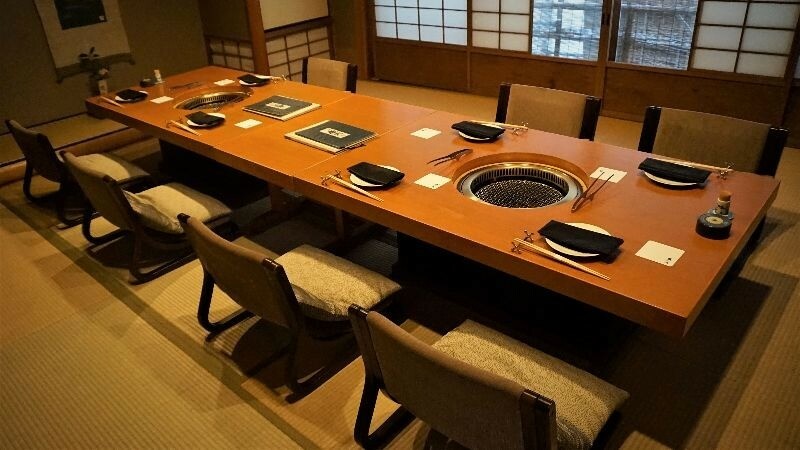 Here are some exceptional restaurants in Kyoto, from fancy to very reasonable! You can find Obase close to Kyoto City Hall, and this restaurant is in a 100-year old machiya townhouse. 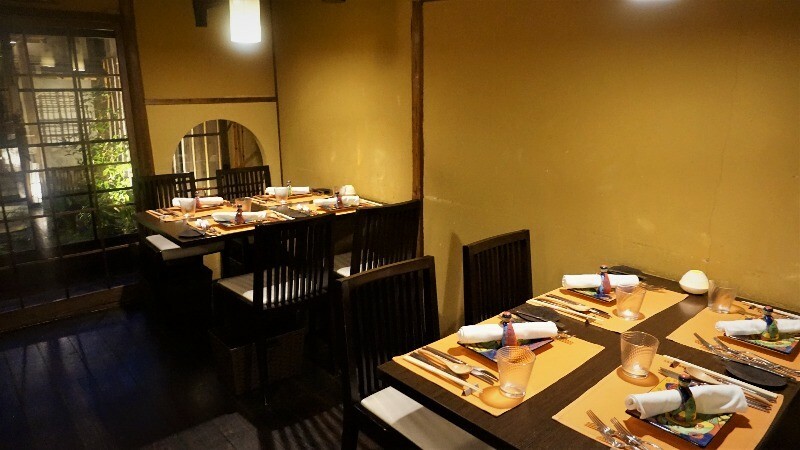 The restaurant’s look is very clean and chic, but at the same time, it also retains the traditional machiya-atmosphere. 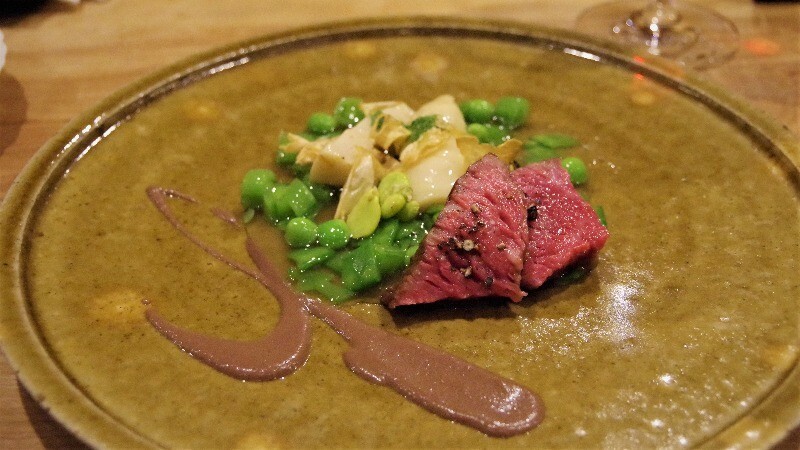 This restaurant specializes in set course meals that combine Italian influences to Japanese kaiseki cuisine. The food here is all delicious, from the appetizers to the dessert, but their wine choices are also excellent and make the tastes of the dishes stand out even more. Great yakiniku at Gion Karoku! This restaurant is in a machiya that was built in the second year of the Showa period, in the year 1927. 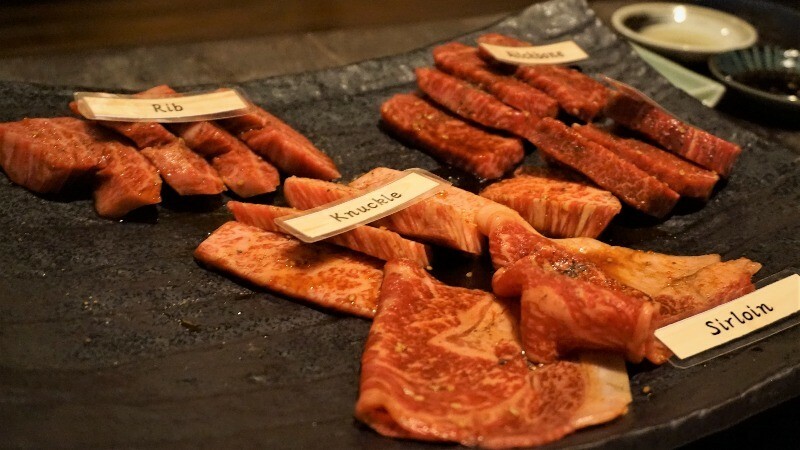 Gion Karoku offers the best and rarest parts of cow to you to enjoy, and right from the moment you step into the restaurant, you’re greeted by the nostalgic atmosphere. The building and the inner and outer gardens make this the perfect place to enjoy some Japanese BBQ. They only use meat from Japanese black cattle that has a rank higher than A4, so the marbling in the meat is exceptional. But the meat is not too greasy; there is an elegance to the taste. They also have some other great dishes such as special beef tongue with green tongue and slat, which is considered a Karoku-classic. 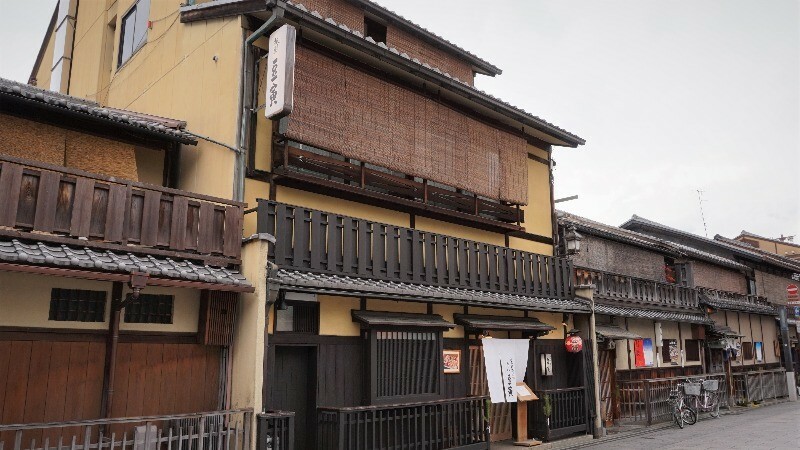 On the atmospheric and historic street of Hanamikoji in Gion, you can find a quiet machiya, which may look unremarkable, but actually, inside it, you can find a sushi restaurant really popular among young women, called Gion Mametora! This restaurant makes their sushi very small, so that the apprentice geisha, maiko, don’t have to open their mouth wide when eating. This also makes the sushi really cute! I’m sure you’ll be taking so many pictures! 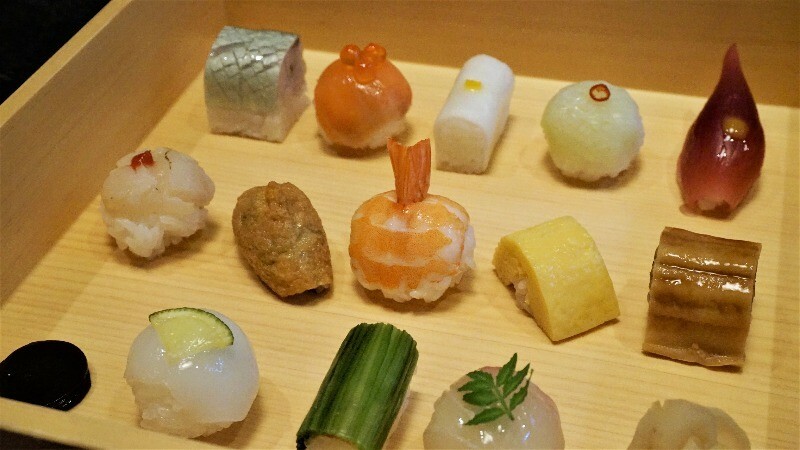 The sushi pieces are small so you also get to try many different kinds of sushi. On the east side of the Imperial Palace, you can find restaurant Epice in a renovated machiya townhouse built over 100 years ago. The restaurant feels very Kyoto-like, and they make all their dishes using local ingredients. The set meals served at Epice for both lunch and dinner change seasonally. The main part of Epice’s dishes is the local vegetables. Here you can see their famous vegetable terrine served for dinner only. At Epice the vegetables they use are both pesticide-free and organic, so you get to taste the vegetables at their best. The desserts at this restaurant are also spectacular, but if you don’t like sweet things, you can change your dessert to a cheese platter. How kind! 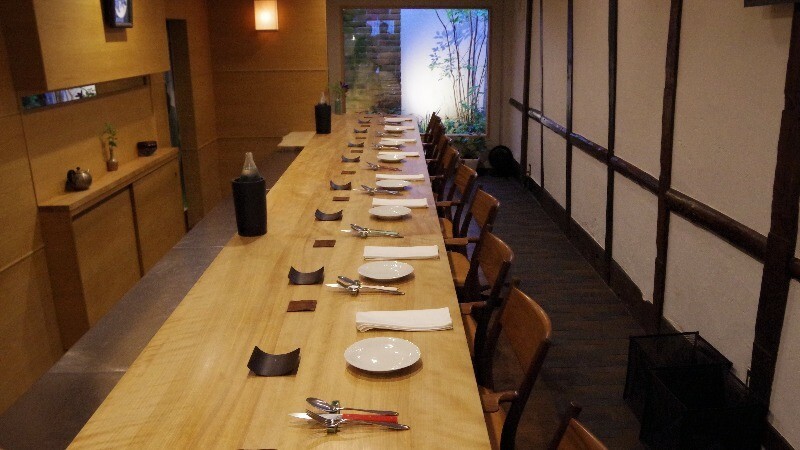 It’s a different kind of dinner experience if you have your dinner in a machiya townhouse. Besides the great dishes, you’ll also get to enjoy the historic atmosphere; something you can only experience in Kyoto! So after looking at some dinner options, would you like a cup of coffee or some afternoon tea? Come with me to the next part of this feature article! Part 1The best 4 restaurants for machiya townhouse-style dining in Kyoto!